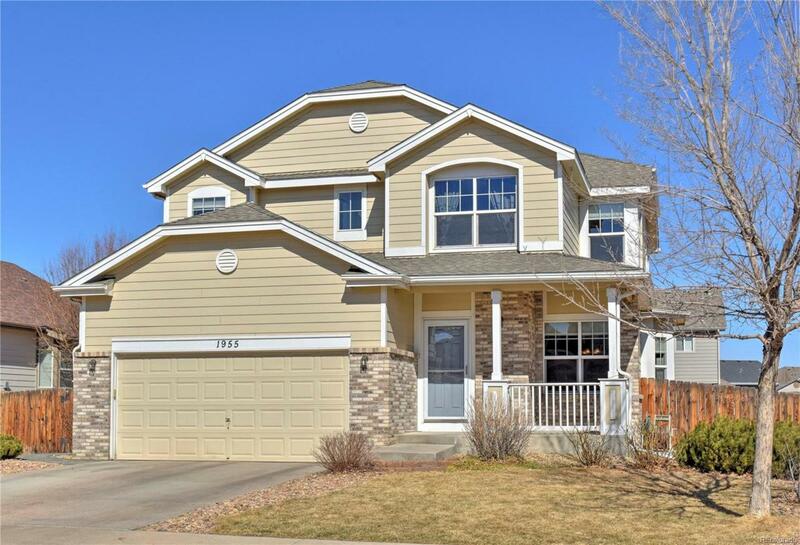 Beautiful, spacious 2-story in Thornton's desirable North Creek Farms subdivision. Formal living/dining room and family room with gas fireplace and laminate hardwood floors. Eat-in kitchen with center island, pantry and 42" cherry finished cabinets with pull-outs and crown molding. 5 upper level bedrooms including a master with ceiling fan and private 5-pc master bath. Full sized secondary bath. Full unfinished basement with lots of room for storage plus rough-in for future expansion! New carpet and bathroom flooring. Low-maintenance backyard with large patio, sprinkler system and privacy fence. Situated in the coveted Adams 12 school district with multiple parks just blocks away! Close to trails, retail, dining and major commuter routes to Denver and Boulder.